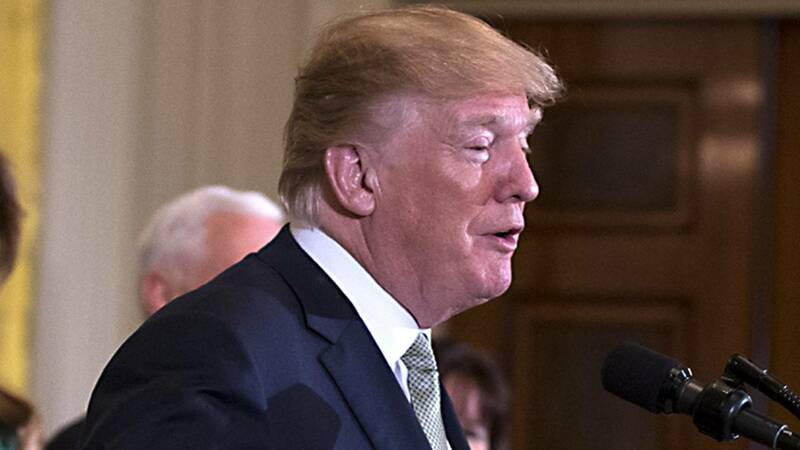 (CNN) - President Donald Trump's approval rating has improved slightly but is still underwater, according a NBC/WSJ poll released Sunday. The new poll found that 43% of Americans say they approve of the President's performance in office -- a four-point increase from their poll in January 2018. However, a majority of respondents -- 53% -- say they disapprove of Trump's performance, a drop of three points from January. The bump in the President's approval came from white male, Republican and independent respondents, according to the poll, which was conducted from March 10-14. Trump's 43% approval rating is the lowest of his predecessors at this point in his presidency, according to NBC, lagging one point behind the previous lowest record of 44% set by President Gerald R. Ford. For presidents other than Trump, the average approval rating at 14 months into the term is 58%. Looking ahead to midterm elections, registered voters indicated a 10-point preference for Democrats to take congressional victories; 50% of respondents said they'd prefer to have a Democrat-controlled Congress, while 40% said they wanted a Republican-controlled Congress. The latest poll shows a shift in Democrats' favor compared to January's 49% to 43% edge. It also found higher early enthusiasm for the upcoming election among Democratic voters; 60% said they have a high degree of interest, while 54% of Republicans said they did. The findings about the midterms come as Democratic candidates are making gains in national special elections. On Tuesday, Democrat Conor Lamb declared victory in the special election for Pennsylvania's 18th Congressional District -- a jurisdiction Trump won handily in 2016. In light of the expected upset, CNN made changes to its rating of 17 House races -- all of them in the direction of the Democrats. The overall margin of error in poll was +/- 3.0 points and +/- 3.2 points for registered voters.